SoftMaker Office NX Home for Windows, Mac and Linux (yearly subscription). Guns of Icarus Online is provided via Steam key for Windows, Mac, and Linux. 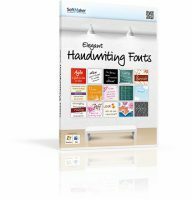 Elegant Handwriting Fonts (a €/US$ 19.95 value) with 30 computer fonts that closely mimic human handwriting.